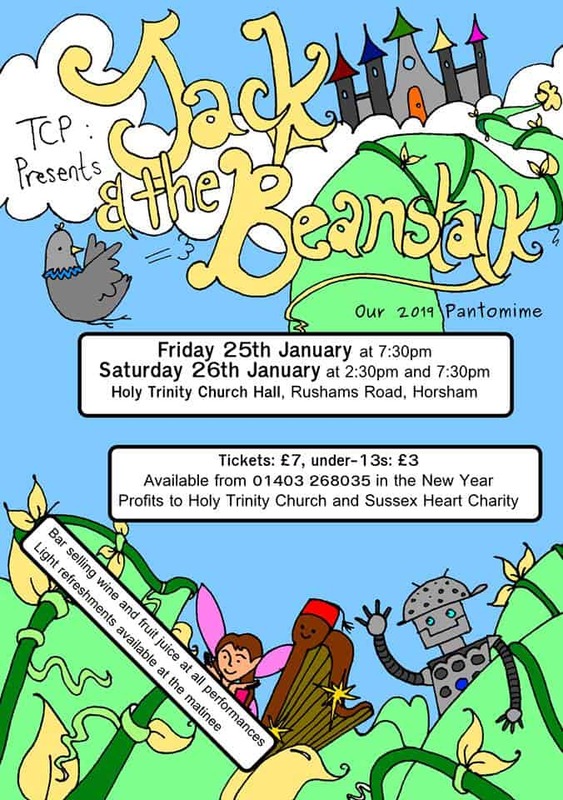 Panto at Holy Trinity Church Hall, Rushams Road. RH12 2NU. “Jack and the Beanstalk” is on Friday 25th January at 7.30pm and Saturday 26th January at 2.30pm and 7.30pm. Tickets cost £7 for adults and £3 for under 13s. They must be pre-booked and can be purchased on 01403 268035. All proceeds will be split evenly between Holy Trinity Church and The Sussex Heart Charity. Read about the panto on the West Sussex County Times site.